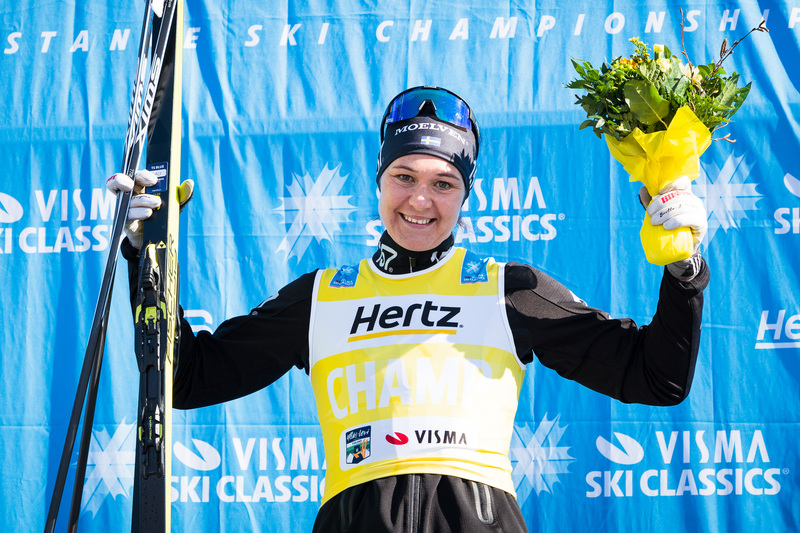 The Visma Ski Classics Season IX ended this weekend when Ylläs-Levi, 70 km, took place in Northern Finland. The race also sealed all competition categories, and the most notable changes from last year are the new winners in the men’s Hertz Champion and the Pro Team competitions. Andreas Nygaard, Team Ragde Eiendom, won Ylläs-Levi, which made him the best male athlete of the season, and Team Koteng’s great performances in the latter part of the season along with Astrid Øyre Slind’s Reistadløpet and Ylläs-Levi victories gave them enough points to become the number one pro team before last year’s winner Team Radge Eiendom (formely Team Santander) and Lager 157 Ski Team. 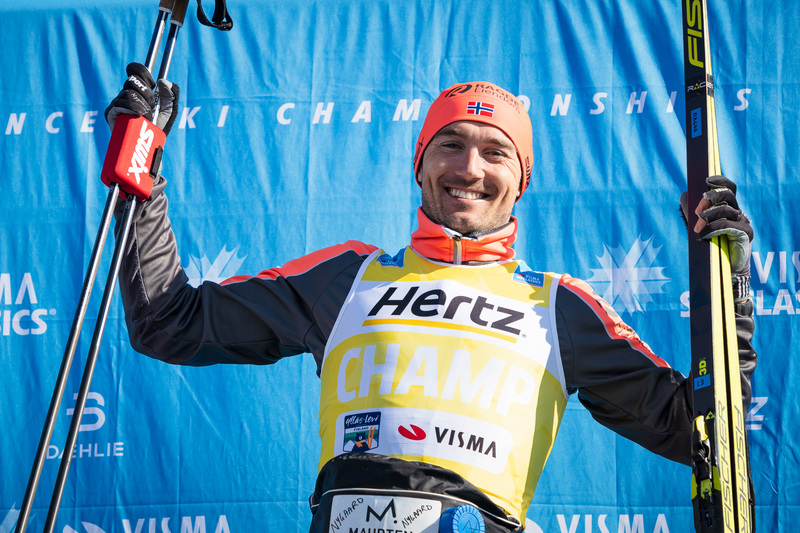 In the Hertz Champion competitions, Petter Eliassen, Team BN Bank, was placed second and the former champion Tord Asle Gjerdalen third while Britta Johansson Norgren, Lager 157 Ski Team, beat Øyre Slind and Katerina Smutná, ED System Bauer Team, who were the best ladies, respectively, behind her. In the men’s overall competition, there was a tight fight between Eliassen and Nygaard throughout the season, and the latter proved to be stronger in the final race taking home the prestigious title. In the Sprint competitions, Anton Karlsson, Lager 157 Ski Team, managed to score more points than Nygaard, 2nd, and Stian Berg, Team Kaffebryggeriet while Johansson Norgren won this category as well before Lina Korsgren, Team Ramudden, who was second leaving Øyre Slind third. Øyre Slind and Morten Eide Pedersen, Team BN Bank, were the best uphill skiers this season by winning the Climb competitions. Johansson Norgren and Smutna followed Øyre Slind, respectively, while Chris Andre Jespersen, Team Koteng, and Simen Østensen, Team BN Bank, were the two other podium athletes in that order in this competition. The three best male skiers in the Youth competition, skiers 26 years or under, were Torleif Syrstad, Team Koteng, Magnus Vesterheim, Team Kaffebryggeriet, and Emil Persson, Lager 157 Ski Team, respectively. These three had a tight fight for the points since the beginning of the season in Livigno, Italy. 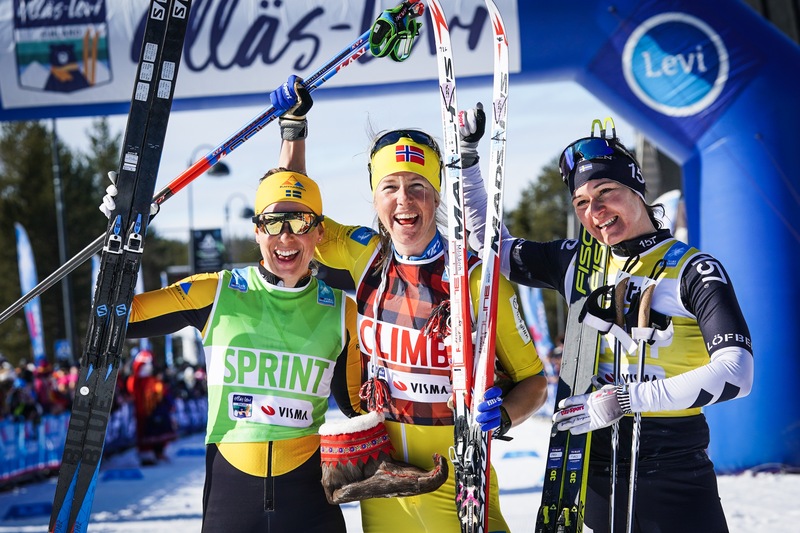 In the women’s Youth competition, Sofie Elebro, Team Radge Eiendom, was able to get more points than her rivals Marie Renée Sørum Gangsø, Team Synnfjell, and Julia Angelsiöö, Team Serneke.